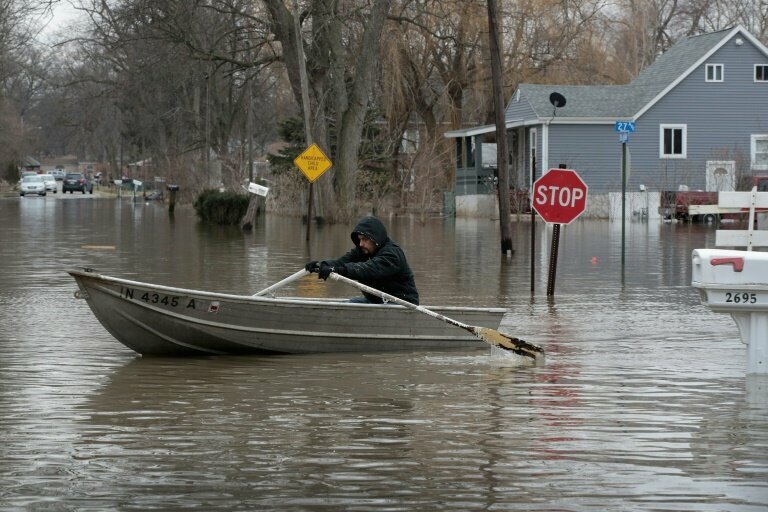 Swollen waters hit much of Nebraska, as well as parts of Iowa and Wisconsin. All were under states of emergency after a major storm last week dumped snow and rain, even as melting snow was already raising the levels of area waterways. "Major to historic river flooding is expected to continue across parts of the Missouri and Mississippi River Basins due to rapid snow melt the past few days," the National Weather Service (NWS) said. Failing levees were blamed for flooding in numerous communities—damaging homes and businesses.